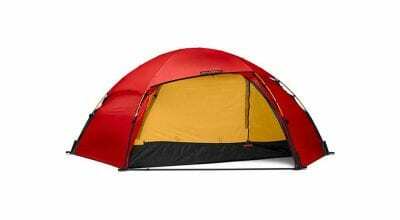 The Sierra Designs Convert 2 is the newest entry in the four-pound high-altitude single-wall wedge-tent derby and is amazingly strong and easy to pitch, with poles that slide from the outside into internal sleeves. On a tight ledge this feature is great because you can set up the tent without walking around it. It is, in fact, the easiest tent, wedge, dome or tunnel, that I’ve ever set up in wind or foul weather.Four V-shaped struts (Jake’s Corners) reinforce the base of the tent poles, inside the tent, giving it extraordinary wind strength. Guy lines on each pole and the two sides help make the tent bomber—the Convert 2 withstood two consecutive nights of measured winds over 70 mph. A different trip brought 85 mph winds, destroying two competitors’ tents; the Convert 2 was fine. The Convert 2 has 29 square feet of floor space, making it less cramped than most tents in its category. 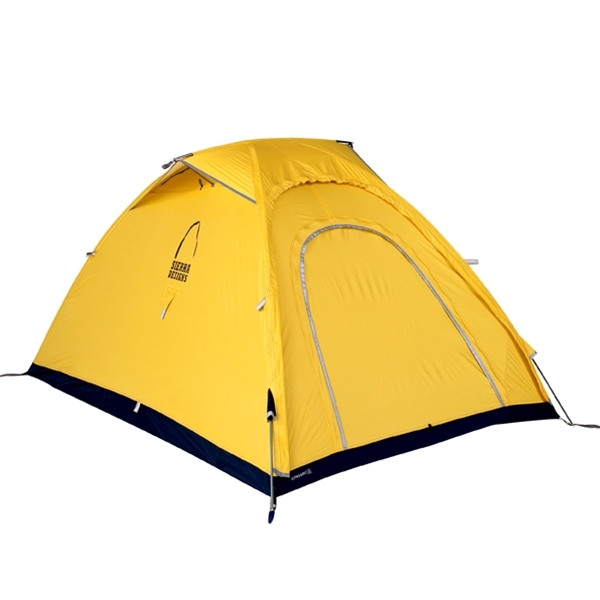 It is 45 inches tall, three to five inches taller than most similar-style tents. Floor dimensions are 85 x 45.5 inches. A zip-on vestibule adds 8.5 square feet. Ventilation is good, with a large front door and two roof vents held open by an aluminum strut. To save weight in mild conditions, the Jake’s Corners and the vestibule can be left at home. Reflective door tape and guy-line tabs make the tent easy to find by headlamp. Yellow walls allow cheery light even on dreary days. Is the tent perfect? Close. I’d like to see an eave over the door for those times when you’re not using the vestibule, and adding snow flaps around the tent’s floor perimeter would make it easier to anchor on snowy or rocky ground. The high mountains are littered with tents shredded by extreme winds, but the Convert 2 won’t be one of them. 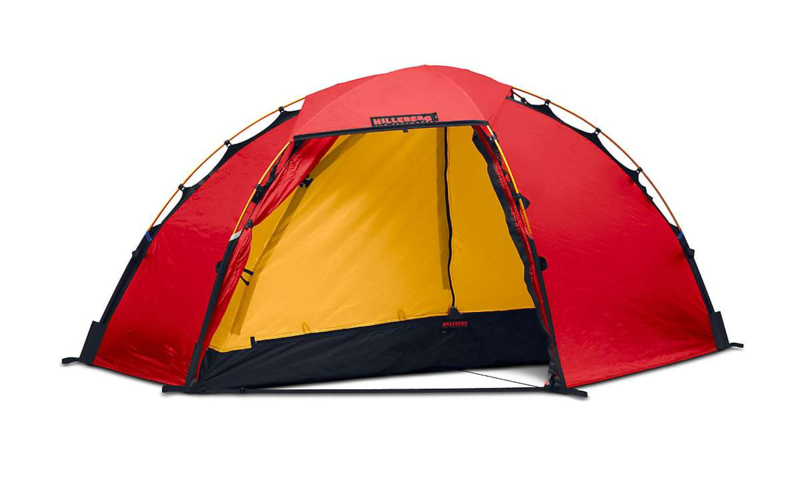 If you are looking for an easy-to-set-up, lightweight tent that can fit on small ledges, withstand 70+ mph winds, weighs less than five pounds and has good head room, this is a great choice. One of the fastest, if not the fastest, tunnel-design tents to set up. Bomber in winds up to 85 mph. Roomy for a technical two-person tent.